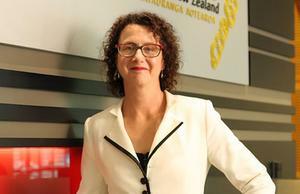 LENOVO has set itself a stack of ambitious goals for the New Zealand market. The hardware maker, which bought IBM’s PC division last year, aims to have 500 dealers onboard here by the end of next year. In the meantime it is placing its reputation on the line with an audacious promotion designed to show it is positive it can deliver the goods. Lenovo promises to deliver stock ordered from distributor IT Wholesale within five days, or it will give the reseller a 25% discount off their next order. The promotion applies to selected models and runs until the end of the year. Country manager Karen Vincent says the promotion shows Lenovo is so confident it can deliver it is prepared to carry the risk if it does not. 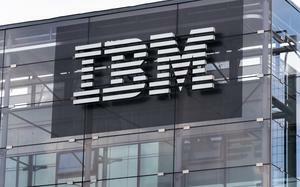 The scheme comes after the company suffered some supply issues earlier this year while taking over from IBM. It will show the company has streamlined its supply processes and has high levels of stock in the country, says Vincent. “We have strengthened our supply chain management,” she says. Vincent says the promotion came from talks with ITW, which is why it is not also available through Ingram Micro. Tracey Brewer, national marketing manager at ITW, is pleased the company can offer the promotion exclusively. Brewer is confident the challenge can be met and that the promotion will change negative perceptions created by the previous supply issues. To hold up its part of the bargain ITW is working closely with Lenovo and its resellers on order forecasting and will maintain high levels of stock. Both Brewer and Vincent are confident Lenovo will reach its goal of 500 dealers. “I believe they can do it. They have good partners, good distribution relationships and a very clear channel strategy,” says Brewer. New products with lower price points, such as the sub-$1,000 ThinkCentre E-Series desktops and two new Z60 ThinkPad notebooks launched this month, will also push the company into new markets, says Vincent. So will a consumer range planned for next year and the company’s sponsorship of the 2006 Winter Olympic Games in Torino and 2008 Beijing Olympic Games.